Elva is the new project of Allo Darlins Elizabeth Morris and Ola Innset, of the Norwegian bands Making Marks and Sunturns. The sonic palate of the record is detailed and delicate, with a mix of acoustic and distorted guitars, vintage keyboards, strings and intricate vocal harmonies. Lyrically and melodically, the album showcases the depth of both Morriss and Innsets songwriting. 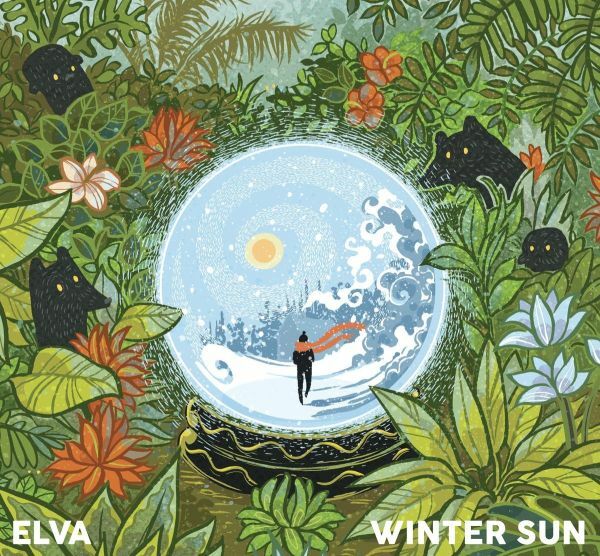 At times recalling the gentleness and screech of American indie bands like Yo La Tengo, at other times the country-tinged heartbreak of Linda Ronstadt or Laura Veirs, Winter Sun is something of its own: a rich combination of polar opposites. Summer and winter, Australia and Norway.